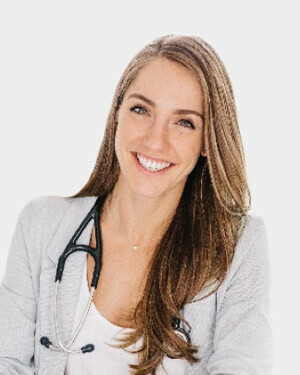 Bronwyn Storoschuk Naturopathic Doctor Toronto | Koru Nutrition Inc.
As a Naturopathic Doctor, health advocate and professional problem solver, Dr. Bronwyn Storoschuk offers personalized care, appreciating the uniqueness of each individual. She has a clinical focus in Women’s Health, including hormonal concerns, reproductive health and fertility, mental health, brain injury, chronic pain and weight loss. Dr. Bronwyn holds her Naturopathic Prescribing License and can prescribe bio-identical hormones to women who require further support. She is also certified to give vitamin injections, like B12, Vitamin D, and lipotropic factors. She received extra training in preconception care and fertility support as part of an externship at Conceive Health Clinic, a naturopathic clinic within TRIO Fertility. She has also received additional training in weight loss strategies through the ‘Be Your Best Self’ program alongside Dr. Afsoun Khalili, ND. Dr. Bronwyn graduated from the Canadian College of Naturopathic Medicine in Toronto, Ontario. Before pursuing her education in naturopathic medicine, she graduated on the Dean’s Honours List from Queen’s University with a Bachelor of Science in Kinesiology. Dr. Bronwyn is a member in good standing with the College of Naturopaths of Ontario, the Canadian Association of Naturopathic Doctors and the Ontario Association of Naturopathic Doctors.